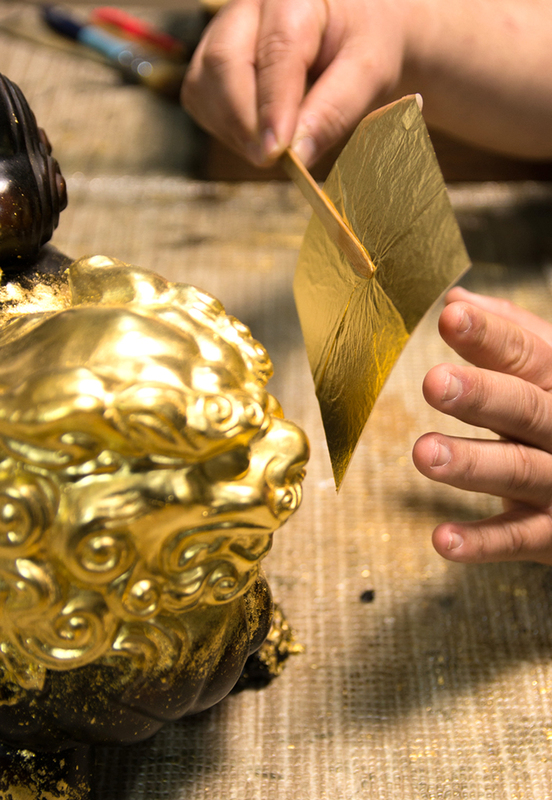 Gold leaf stamping technique, originally used for decoration of various religious furnishings, fittings and statues in Buddhist temples, consists of gluing gold leaves to the plane or three-dimensional surface with the help of urushi lacquer. 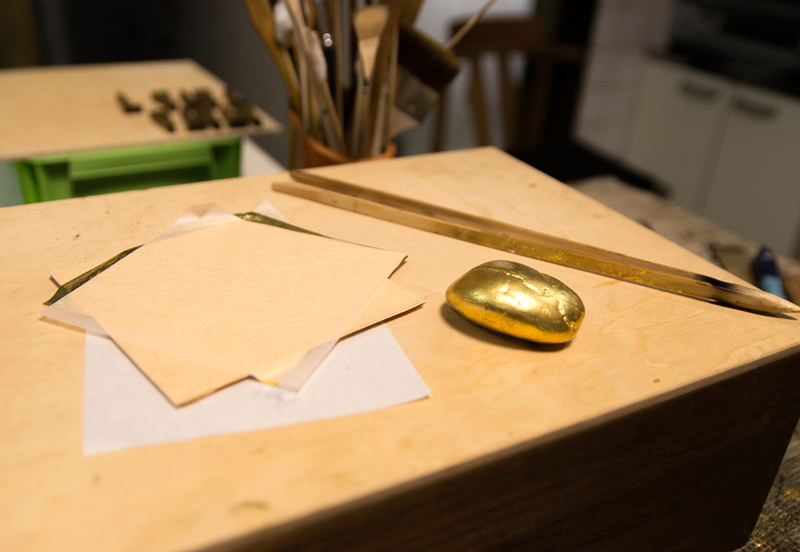 Kyoto gold leaf stamping is characterized by a luxurious rich gloss created by the meticulous handwork of high-skilled artisans. 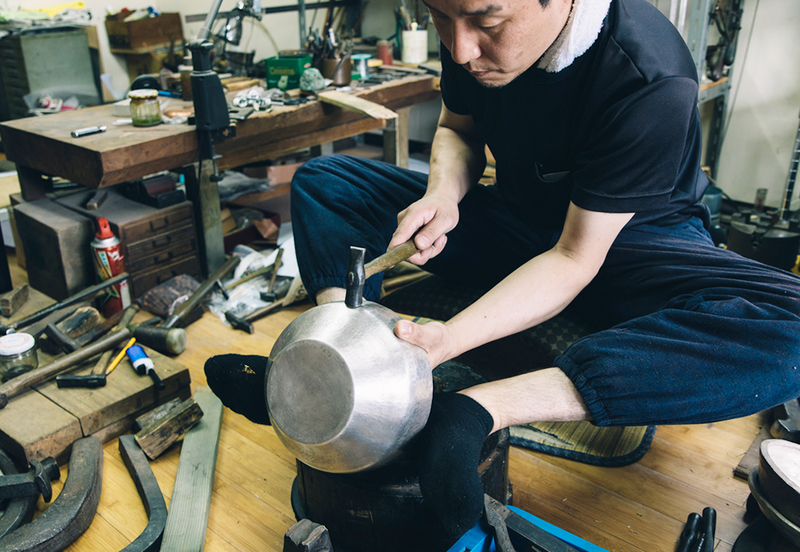 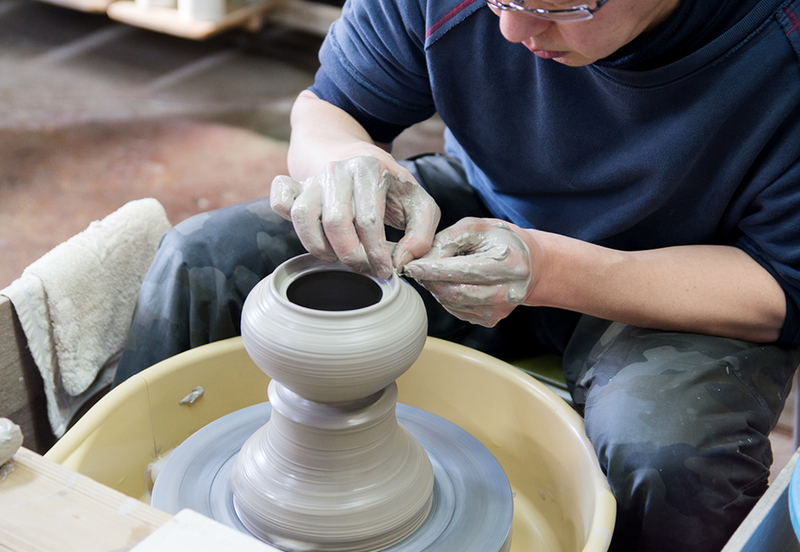 Studio’s master craftsman Norifumi Fujisawa is actively engaged not only in Buddhist fittings decoration, but also in numerous fashion and interior design collaborations. 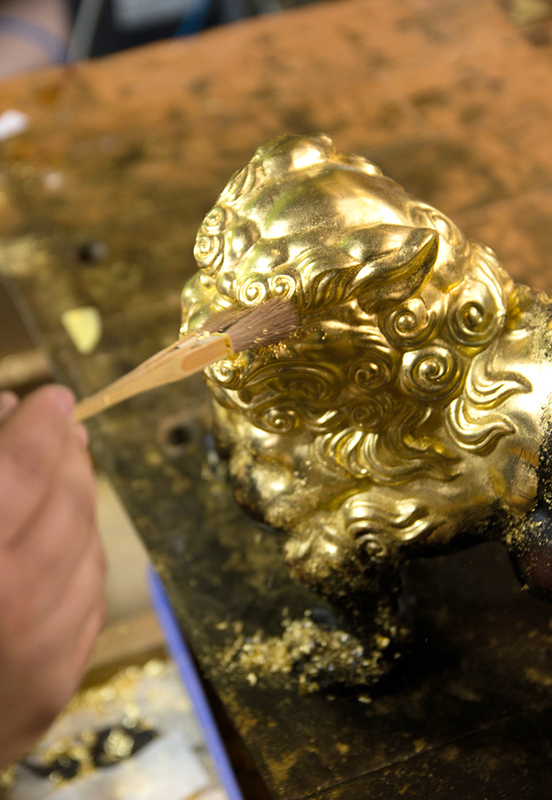 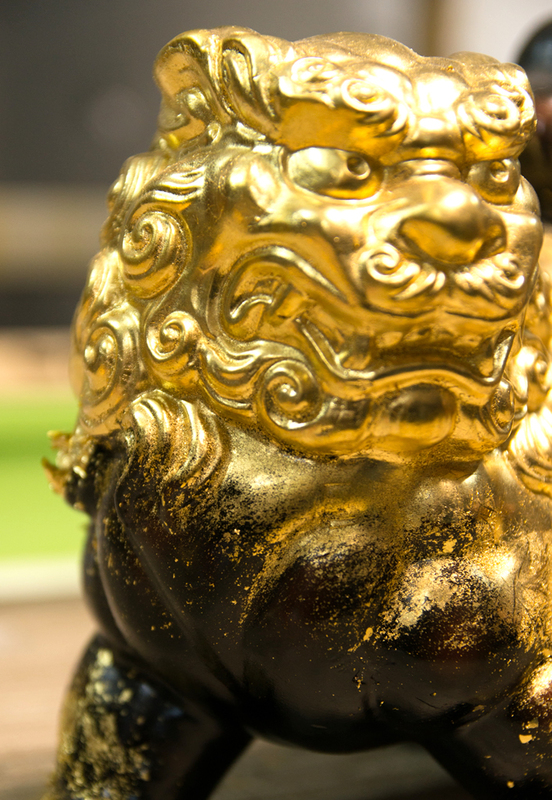 Have fun stamping gold leaf on a paperweight and then take it home as a souvenir. 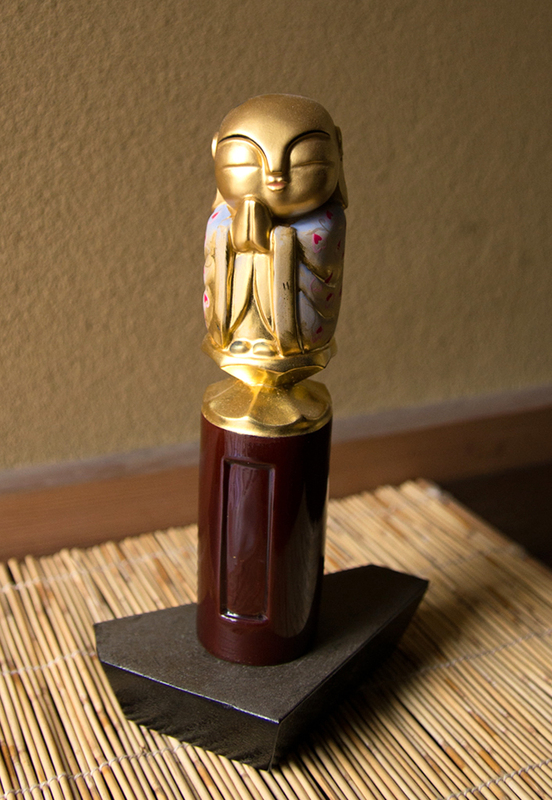 1996 After graduation, studied under Masaharu Okamoto. 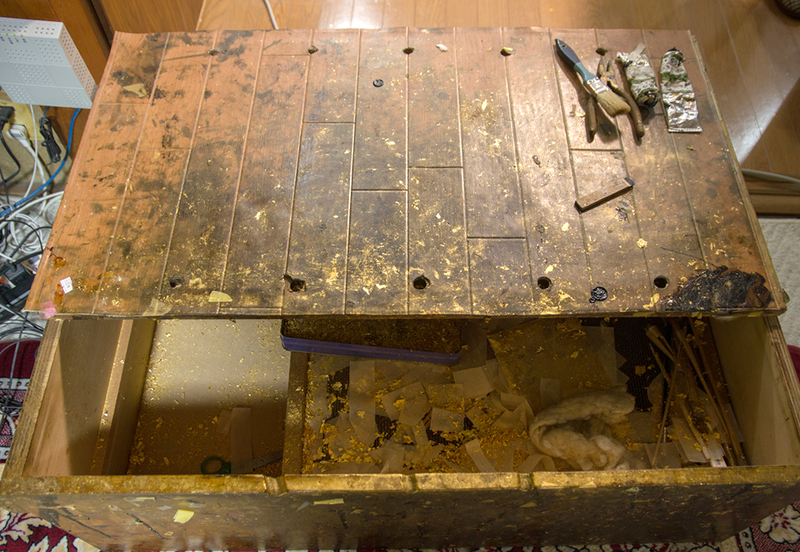 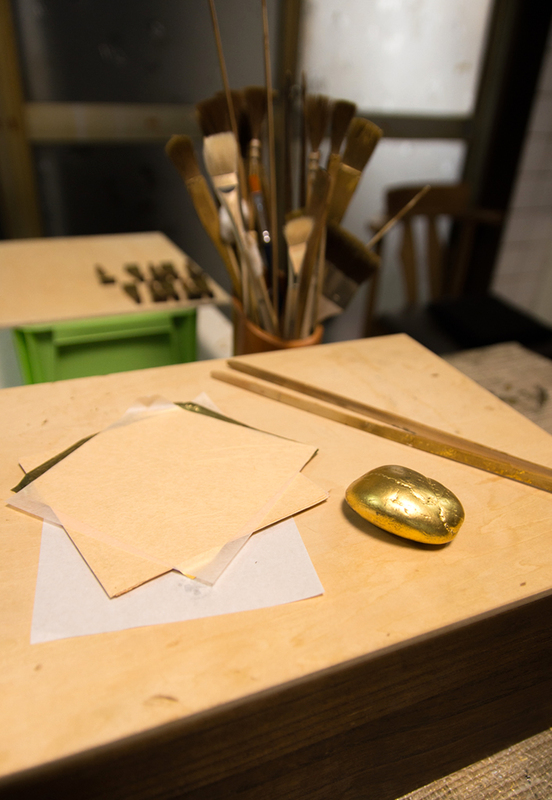 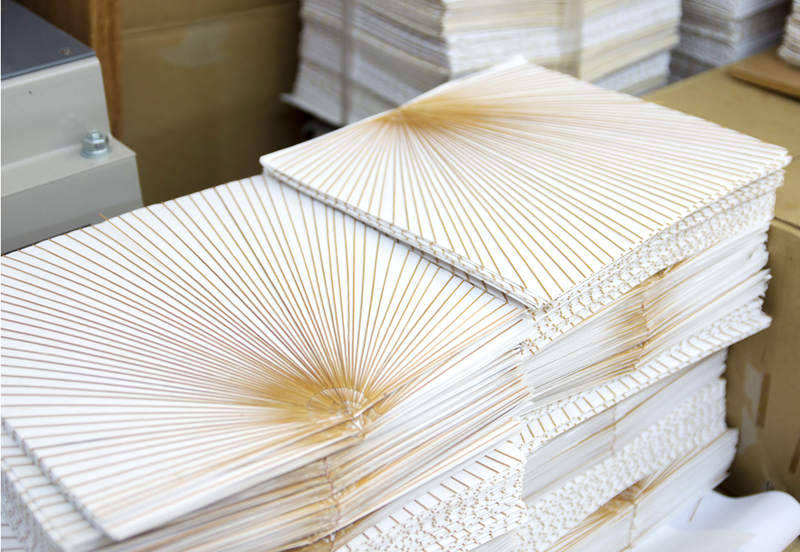 Engaged in gold leaf stamping in temples and shrines all over Japan.